I did it. Today, I did it. I finally decided to throw in the towel and forfeit. The birds and pill bugs will be disappointed, but they had to go. The strawberries had to go. They were taking up too much precious space for the amount of edible berry I was harvesting. Even though I knew it was a good decision, my heart sank a little when I slid the trowel under the first root mat. 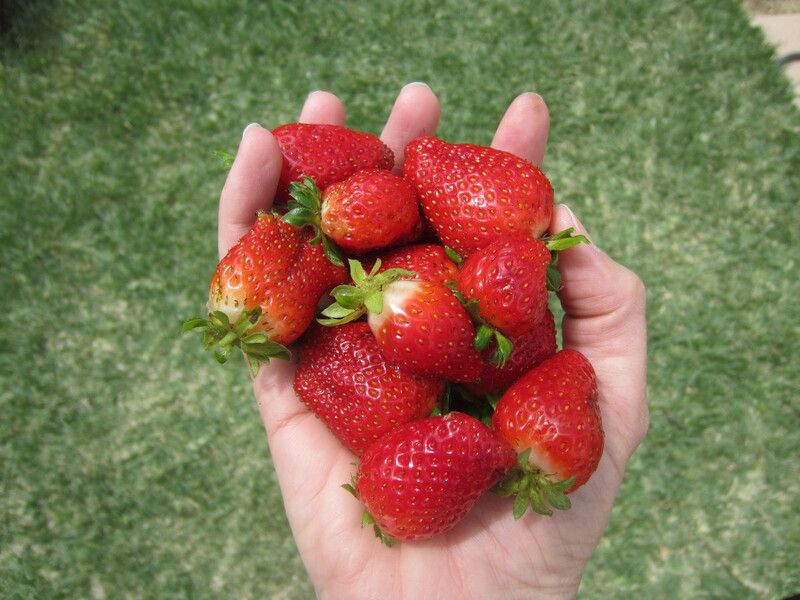 These are the edible strawberries I harvested this morning. I had made the decision to pull up the strawberries several months ago, when I, for the first time, drew out a plan for the garden. It was only today I actually brought myself to do it. 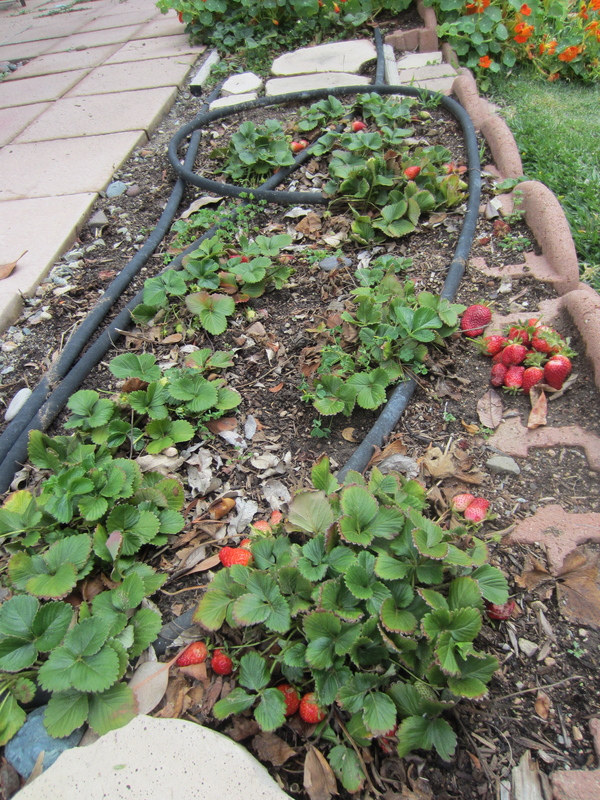 I took out a section of the strawberry patch a few weeks ago, and older section that was due to be replanted anyway. But, this morning, I pulled up plants that had green and almost red enough strawberries. (Don’t worry; I did pick the ripe berries first). I had to keep reminding myself that the bugs and birds would get half of the beautiful fruit. That was enough to keep me digging and pulling. 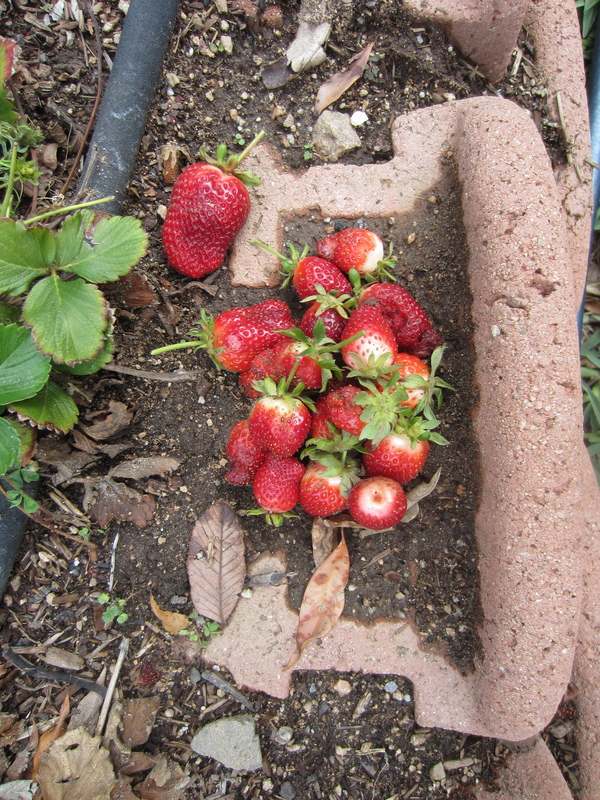 The strawberries the that had to be discarded because the birds and pill bugs got to first. I didn’t want to fight with them anymore and I had plans for better use of the space. 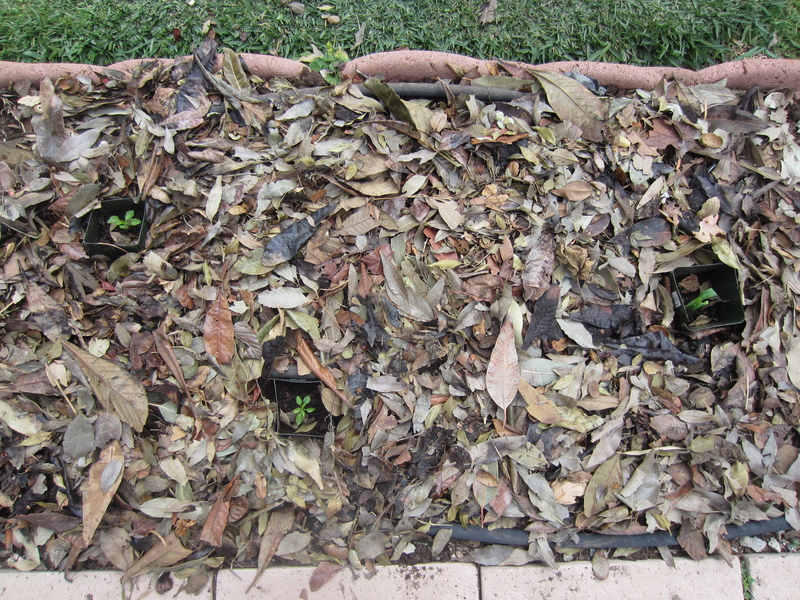 I pulled the plants and added compost in the final minutes of my son’s morning nap. Later, during the afternoon nap, I transplanted a couple of pepper plants and a zucchini, and mulched. In the fall it could become a place to plant even more garlic, or peas, or greens. Strawberries may find their way back into my garden somewhere down the line, but for now I am more interested in feeding my family than growing treats for the mocking birds and pill bugs. a heartwrenching decision for sure! I remember gardening when my son napped. In those days, everything got done during that two hour nap mid-afternoon. He’s 14 now, his brother 11. They’ve both spent time planting alongside of me over the years. I hope you’ll share your love of gardening with the little one when the time is right. My daughter, 4 years old, sometimes works along side me, watering, sowing seeds, but she mostly likes eating what is harvested. My 1 year old picks up a shovel at “digs” on the paving stones :). I hope that they will join me along the way. Mostly, I hope they grow up with an appreciation for fresh veggies and fruit. Thanks for reading! They will have first hand experience with the wonderful flavors that come from the earth, something that will last them a lifetime.